TOPSKY C4C-3（Chair For Comfy Series）: 1 year warranty and suitable for home office use. *Some products have no cards, you can use your order No. to contact us. 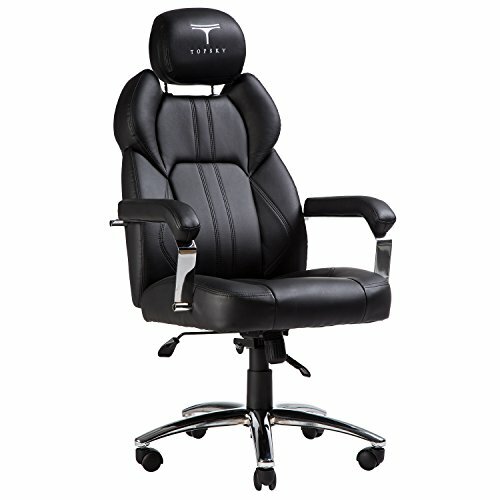 Comfortable executive chair with ergonomic high back, fit gaming style and office working style. Soft and thick padded armrest and seat. You don't need to buy an extra cushion for armrest and seat. The seat can be adjusted up and down. The back and seat angle together can be fixed in numbers of positions. Use the knob means that the tilt tension can be adjusted to suit the user's body weight. Adjustable/Removable/Soft/Thick padded headrest. 9cm adjustable and just need to press one button, if you don't want to use it, you can remove it. If you have any questions about this product by TOPSKY, contact us by completing and submitting the form below. If you are looking for a specif part number, please include it with your message.